Skywatchers are in for a double treat on Sunday night. The moon will appear larger and brighter than usual — a so-called supermoon. 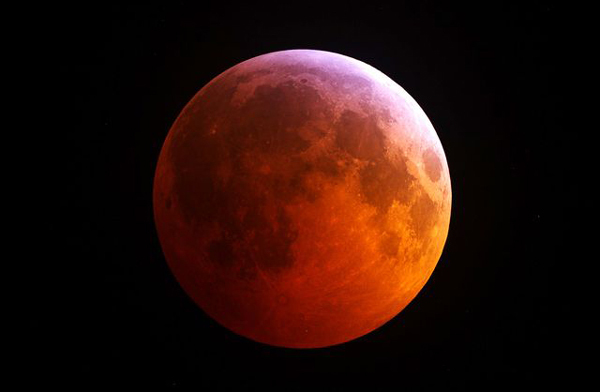 The Earth's shadow also will obscure the moon for part of the evening, creating a reddish-orange glow during the lunar eclipse. What's the best time to see all this?